The local police and the state’s child welfare department’s systems automatically receive this tweet from one of the public/mandatory reporters on a child being abused and neglected. The mapped location alerts the police control room, identifies the exact location and alerts the cops nearby. The attached picture is scanned through the human trafficking websites to identify if John is a victim of such activities. The child welfare system hotline reviews the tweet, reviews the calendars of the social workers in the local office and sends an emergency alert to the available (not on vacation) social workers to go and investigate the situation. In parallel, the system is researching a national database to identify if this child is currently receiving services and sends that information to the police and social worker’s mobile device. The police and the social worker reach the location and investigate the child’s neglect and abuse case. At a press of a button on the social worker’s app, a police report is synced and a case is created for the child for further investigation and ongoing case management. All this – in a span of less 15 minutes. Social Media – attraction, distraction or solution? We live in a world where social media is considered an attraction and a distraction. An attraction for primarily Generation Y & Z who use it to stay constantly connected and interact with friends, colleagues, entities (through liking things). They share pictures and tweet using their mobile devices and tablets. A distraction for the Generation X’s (may be not so much) and the baby boomers who believe that there is too much transparency and sharing and a threat to privacy. Let’s not forget the distraction during a regular workday. A generation that generally believes in sharing information with their friends and families via verbal, telephonic and other non-social media type of communication. Would these generations consider social media as a potential solution for social services? Both these generations have one thing common – the human element of being “social.” Social here meaning that they want to share the information to connect with other human beings and to spread the right information for the better use of the community. Whether it be for sharing pictures or sharing information with other individuals to serve the community. In the situation described above, social media could be a solution. If leveraged by the different generations, social media could enhance and improvise on how we think about changing legislation, regulation, policies, processes and technologies to create a new and modern way of providing social services. We live in a world of continuous connectedness. Our phone apps are connected, our search is connected to our email advertisements, our social media tweets and retweets result in profile based information sharing and so on. The situation explained above is not a futuristic age situation. In today’s world, solutions exist that analyze social media data and direct the correct responses via data sharing channels. 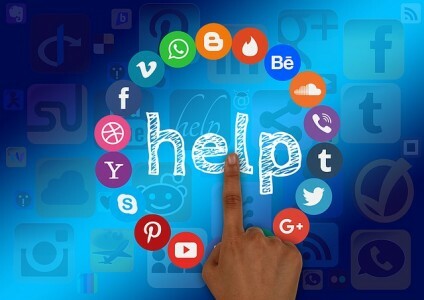 The wide spread adoption of social media as an interaction tool could be leveraged by governments and social services agencies and departments in situations like the one described in the scenario above, to benefit the life of a child, a parent, an employee or a family. Why not use this power of technology to change how we provide social services in government entities? – Tweets could be linked to government systems for impactful and speedy responses. – Electronic benefits transfer (EBT) cards could be linked with smartphone apps to tie with vendors and retailers for groceries and daily use items and have tailored deals for the participants of these cards. – Secure apps could be used to save and track personal identification and tax records information and could be shared during eligibility determination for health care, nutritional or cash benefits. – Alerts could be shared within government agencies specific to certain emergency situations. – Mass communication could be triggered via tweets, chat software and Facebook. The possibilities are endless. The power of 140 characters, mobile apps or tax software could result in significant potential savings for the social services agencies and government budgets. This is extremely critical for governments to explore considering the difficult fiscal environment. Something to think about! Author: CreativeTechNerdie Yash Acharya is a director within KPMG LLP’s State and Local Government Practice, with a focus on assisting governments with business transformation initiatives. Thinker, coffee fanatic and government transformation passionist, Yash’s column shares innovative ideas, thoughts and real world challenges for government, companies and the public to think about where we want to go next. Views expressed are his own. Great article. Tackles the premise that social media can be used for more good than evil if it’s powers are harnessed correctly. Metadata, if used responsibly can solve many of life’s problems. Great thoughts! Private twitter feeds could also be a cost effective and transparent method of communication within and between agencies. Looking forward to seeing more innovative ideas. Amazing article. You have simplified the complex Social world how it works behind the scenes. Also big data and analytics at play. Would love to read more of these in the future.